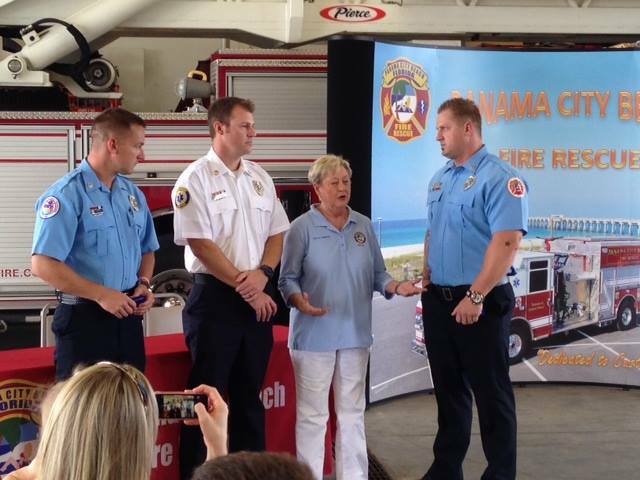 On July 6th 2014 Panama City Beach Fire rescue responded automatic aid to a residential house fire. Lt. Shawn Fiddler, FF. Tim Smith, and FF. Craig Robarts successfully forced entry, attacked the fire and rescue a women from the home. Paramedic’s were able to revive the female and she was released from the hospital to home a few days later. These Firefighters were presented the Chris Whitmore Lifesaving Award this month. Karl Stueck was fishing from a kayak when he reached behind him to retrieve an item, and the boat tipped and capsized, Cayemberg said in a news release. He was able to free himself from the kayak and hung onto it until firefighters arrived on scene at 5:03 p.m.
Stueck was not wearing a life jacket at the time of the incident, Cayemberg said…. 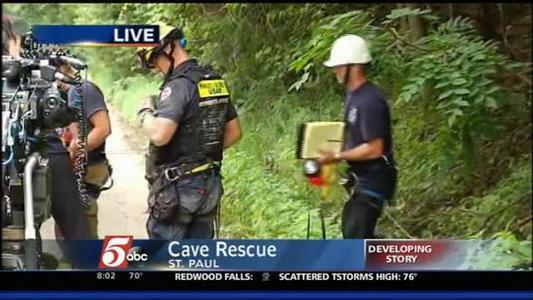 A young man was rescued after being trapped in a 300-foot cave in St. Paul early Sunday morning. 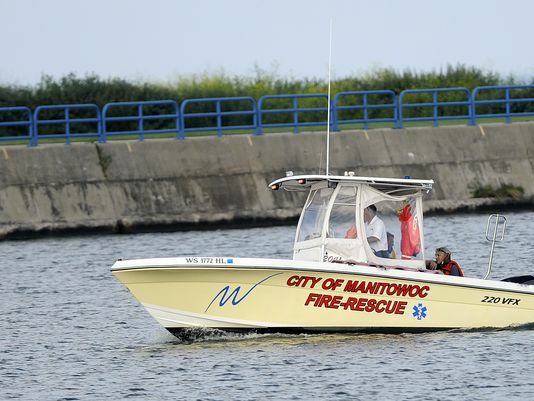 The rescue happened around 6 a.m. along the bluffs of the Mississippi River near Water Street. Hours earlier, the man had fallen about 20 feet into a hole, which turned into a 300-foot shallow cave he couldn’t get out of. He texted his friend saying he was trapped, but then his phone went dead. St. Paul firefighters and their advanced tactical rescue team started searching the area, looking for the cave entrance. They located the man around 5 a.m. in the cave he had fallen into, officials said. It had high levels of carbon monoxide and smoke inside. St. Paul’s rescue team with the help of Minneapolis’ rescue team were lowered into the cave and pulled him out. The man was able to walk around and suffered only minor injuries, but was still taken to Regions Hospital in St. Paul. The man said he was alone, but firefighters continued to search for anyone who could be trapped. 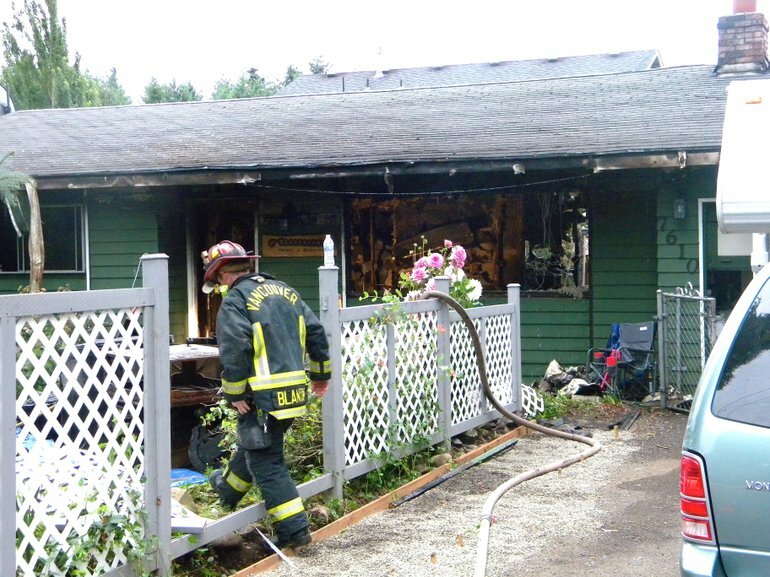 A Vancouver man is in critical condition after firefighters rescued him from a two-alarm fire that destroyed his Sifton neighborhood house Wednesday morning. Vancouver firefighters were dispatched to a house fire at 7610 N.E. 142nd Ave. at 4:53 a.m. When they arrived, they found fire coming out the back of the single-story house. A woman standing outside told first responders that a man was still inside, said fire department Capt. Scott Willis. The fire had also jumped to the neighboring house by way of a fence, Willis said. “Anytime there’s a confirmed rescue and two residences involved, we go to a second alarm,” he said. With both situations applying, the agency sent nearly all of its resources to the area. Firefighters worked quickly to rescue the man, identified as George Henderson, 75. “Crews went inside and lifted the person up and out of the house through a window,” Willis said. Henderson was taken to PeaceHealth Southwest Medical Center. He was later transferred to the Legacy Oregon Burn Center, at the Legacy Emanuel campus in Portland, where he was listed in critical condition later in the day. The fires at both residences were fully contained in about 30 to 40 minutes, Willis said. During their efforts to suppress the fire and put out hot spots, two firefighters were shocked by electrical service to the house that hadn’t been turned off yet, Battalion Chief Rick Huffman said. They didn’t suffer any injuries. Clark County Assistant Fire Marshal Richard Martin said the fire appeared to have originated at a food smoker on the back patio. Damage to the involved house and its contents was estimated at $200,000. County property records indicate it is owned by George and Monette Henderson. The neighboring house, which had fire spread from the side of the house into the attic, sustained an estimated $75,000 in damage, Martin said. Property records show that home is owned by Terry Drake Jr. and Amber Lewis. Neighbor Brett Heath said that he was awake and outside around 4:45 a.m. to let his dogs out but he didn’t notice anything unusual. Five minutes later, his girlfriend told him it looked like Christmas outside because of the lights from the fire trucks and engines. “We’re all just relieved to know that at the very least he’s alive,” Heath said. An occupant of a north Charlotte church building escaped injury after being rescued by firefighters in a two-alarm blaze early Tuesday morning, authorities said. The blaze was reported about 2:15 a.m. at Faith Liberation Community Christian Church, on Moretz Avenue and Lucena Street. That is in Charlotte’s Druid Hills community, near Druid Hills School. Charlotte fire Capt. Jackie Gilmore said a passerby noticed smoke coming from the building and called 911. Firefighters found heavy smoke coming from the single-story building’s doors and windows when they arrived. Crews quickly issued a second alarm. Gilmore said the occupant of the building was unaware of the fire, and crews removed the person safely. 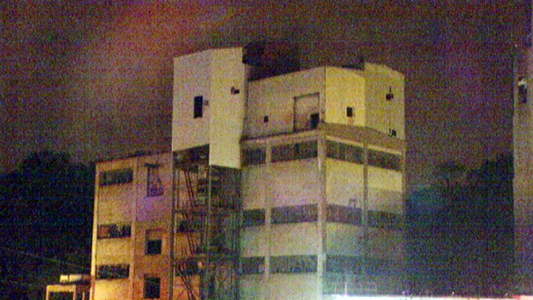 Firefighters had to force their way through metal doors and remove steel bars from windows to get inside the building. Gilmore said it took a crew of 42 firefighters about 20 minutes to bring the blaze under control. Investigators said the fire was electrical in nature and started in the kitchen. Damage was estimated at $40,000, authorities said. 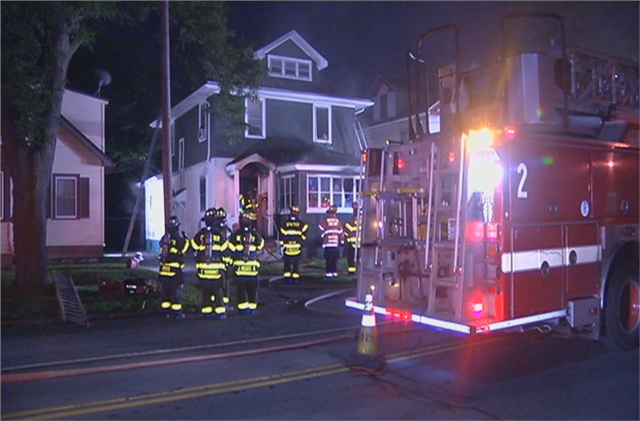 ROCHESTER, N.Y. — Firefighters rescued two men off the roof of a house on the city’s northwest side early Sunday morning after a fire broke out on the first floor. It happened just a few blocks from the firehouse on Emerson Street around 4:30 a.m. Firefighters said the fire blocked the two men from getting downstairs so they went out second floor window onto the porch roof. Firefighters arrived on scene and rescued the men before putting out the fire. They said the first floor had extensive damage, and there was significant smoke damage to the second and third floors. One man was taken to the hospital for smoke inhalation but is expected to be okay. 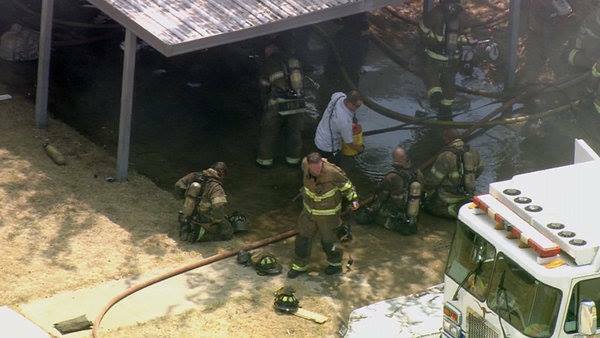 FORT WORTH (WFAA) — A child was pronounced dead and three others treated after a fire broke out at a home Thursday afternoon in the 6600 block of Rockdale Rd. in Fort Worth. MedStar reported four children ages 2, 5, 9, and 14 were inside the home when the fire broke out. 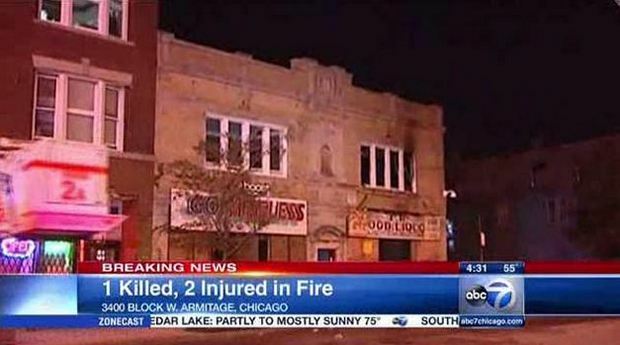 A woman died and two others were injured after a Logan Square storefront they had been occupying caught fire Thursday night, according to authorities. A mattress in a back bedroom of the building, in the 3400 block of West Armitage Avenue, caught fire about 11:40 p.m.
A fire crew arrived four minutes after the first 911 call and entered the front through heavy smoke and found all three “pretty quick,” according to a Chicago Fire Department spokesman. The woman was taken to Norwegian American Hospital and pronounced dead. She was in her 40s, according to police. The Cook County medical examiner’s office wouldn’t say whether they were notified of a death connected with this incident. Two others, both men, were taken to John H. Stroger Jr. Hospital of Cook County. One, whose age wasn’t available, is alert and talking. The other, in his 60s, had burns to 30 percent of his body and is now intubated. The building had been vacant for six months, authorities said, and it appears the three had been illegally occupying the apartment for a few months because of the amount of liquor bottles and drug paraphernalia found by firefighters. ORLANDO, Fla. (WOFL FOX 35 ORLANDO) – City of Orlando firefighters went door-to-door within several blocks of a home that caught fire overnight on Margie Court Monday. They were checking to see if homeowners had working smoke detectors. It’s standard procedure for the Orlando Fire Department. Firefighters got a call at around 1 a.m. Monday about the fire on Margie Court. Cordero and engine-mate Rob Petroff are two of the local heroes who saved a woman trapped inside the burning home. “Our dispatch had good information that they did have someone trapped inside, so we really gear up to do a good search,” Petroff said. “It just makes you want to get them out as fast as you can, and you want to make sure you do everything right,” Cordero said. When the pair of firefighters got around to the back of the house, they found the woman, face-pressed up against the bathroom window gasping for air. They were able to calm her down and direct her over to a larger window, where they shattered the glass and pulled her out safely. Within 11 minutes, that woman was out of danger and getting urgent medical care. 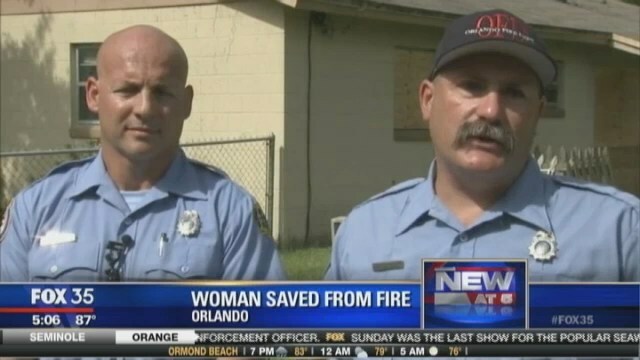 Although they have decades of experience between them, it was the first time in their careers Petroff and Cordero rescued someone from a burning building. Firefighters believe that fire started accidentally in the kitchen of the home. The State Fire Marshal’s Office is still investigating. The woman, whose name is not being released, is being evaluated for smoke inhalation, but is expected to make a full recovery.